Remake Scotland is a creative reuse organisation, aiming to divert potential landfill and encourage grassroots creativity. They encourage everyone to make good stuff from old stuff while learning to use tools with confidence. 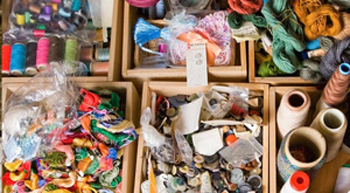 From the popular Scrapstore which provides community groups and individuals with cheap and alternative art and craft supplies as well as a wide variety of constantly changing scrap materials including clean surplus resources collected from business and industry to the open workshop called the Shed and the Make & Mend Craft Space where they hold a wide range of popular community craft workshops, there is something to interest all ages. The Outreach team can create fun craft based classes for schools, clubs and care homes and if youre looking for an original Party be it a birthday party for the kids or a fun hen party for the girls, Remake offers a wide range of creative solutions! 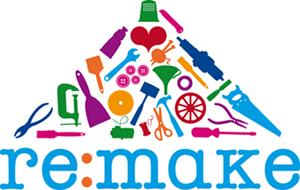 Remake Scotland is a registered charity and social enterprise.